We welcome you to attend the upcoming meeting of the IEEE Power & Energy Society’s Insulated Conductors Committee that will be held at the J.W. Marriott Starr Pass Hotel in Tucson [pronounced “two-sun”, not “tuck-sun”], Arizona. We are returning to Tucson after having a very successful and enjoyable meeting at the same location in the Fall of 2015. This venue offers a beautiful setting in a desert landscape to hold our meeting with many interesting natural, historical and cultural attractions in an around Tucson. In addition to many fun activities available right at the conference hotel including hiking trails, golf, and swimming pools, there is additional information below on some nearby attractions that may be of interest. Included below is also a preliminary agenda for the meeting; note that the agenda will likely be updated prior to the meeting so please remember to check back frequently for the latest information. Registration for meeting attendees will open on 2-April-2018. Registration for our limited Table Top exhibit space will also open on 2-April-2018. You will not be able to register prior to 2-April-2018, so do not call in advance regarding early registration as this is not available. The city includes a diversity of cultures, architecture, and peoples and is one of the “Mega-Trend” cities of the 21st Century: from the high technology in Optics Valley to the premier health services center for the Southwest, the astronomy center of the world (Kitt Peak), home of a premier research institution – the University of Arizona, and a tourist destination with such attractions as the Pima Air Museum, Old Tucson Studios, and the Saguaro National Park. Tucson boasts the best of both worlds…the progress and innovation of a metropolitan community and the friendly atmosphere of a small town. Tucson’s rich cultural heritage centers around a unique blend of Native American, Spanish, Mexican and Anglo-American influences that can be seen in the Hispanic barrios, historical and contemporary American architecture and the prehistoric Native American remnants (San Xavier). For those who really treasure Old West history, the historic town of Tombstone is only 72 miles away to the south east. Tucson is considered a “mini-mecca for the arts” as reported by The Wall Street Journal and in 2009 was ranked #20 of the Top 25 Arts Destinations (big-cities category) by American Style Magazine. Tucson is one of a select few cities of its size that boasts its own ballet company, professional theater, symphony, and opera company. Home to 215 art groups, and more than 35 art galleries in the downtown area alone, Tucson ranks as one of the best places in the state to view works by the masters and up-and-coming artists. Tucson’s natural history and cultural heritage are also on display in its 30+ regional museums. Tucson is situated in the Sonoran Desert and is surrounded by five mountain ranges. A trip from the 2,389-foot valley floor to the 9,157-foot Mt. Lemmon summit (home to the southernmost ski area in the continental United States) traverses seven of the world’s nine life zones, the equivalent of driving from Mexico to Canada. Tucson is the perfect place for the outdoor enthusiast. With more than 800 miles of bike paths, it has been ranked by Bicycling magazine as one of the top cycling cities in the U.S. for several years running. Golf is another popular activity with dozens of regional golf courses, including five municipally-owned courses, and the course at the Starr Pass Resort, the home of our conference. Learn More about Spring 2018 ICC Guidebook by clicking here. The online agenda can also be accessed from a browser without the app by clicking here. The Subcommittees will sponsor many Technical Presentations on key topics in their fields of interest. Abstracts of the presentations will be found here. The theme of the Spring 2018 Educational Program is End of Life (or is it?). The program will include presentations by utilities discussing cable system failures and how the utilities react to avoid future failures. Experts will also address the question “Is this the end of the line for my cable system?”. Abstracts of the presentations will be found here. Online Registration closed on Friday, April 27th. An on-site registration form is available here in PDF. Table-Top Vendors, the hotel has provided the following details for shipment of any materials you may need to send to JW Marriott. Please remember that any and all costs associated with shipping/receiving of your packages is your responsibility. If you have questions about these charges, please contact The UPS Store onsite at (520) 791-6200. We also ask that boxes be numbered “1 of 6”, “2 of 6”, “3 of 6”, etc. This way, we will know when incomplete shipments are received. It is also very helpful for you to bring appropriate bills of lading. Please keep in mind that the resort has very limited space for box and equipment storage. We would appreciate if your shipments were sent no sooner than three (3) business days prior to your program start date. 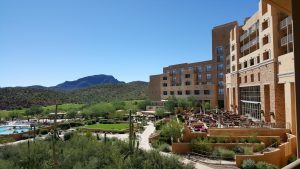 The meeting will be held at the J. W. Marriott Starr Pass Resort and Spa in Tucson, AZ. The Marriott in Tucson will set up a special web site for the ICC membership to make room reservations for the upcoming meeting. Please use the link to make your reservations: Link to be created. The ICC rate at the J.W. Marriott for the Spring 2018 meeting is $202.00 per night. Please note that at last check the J.W. Marriott was SOLD OUT. NOTE: To obtain the ICC rate, attendees must be registered for the ICC meeting or will be charged the standard room rate upon checkout. Government rates are only available to qualified individuals and cannot be reserved through the web site; please contact the ICC chair to get details on obtaining a government rate. The Hotel’s check-in and check-out times are 4:00 pm and 11:00 am respectively. Guests are permitted to check in early or check out later subject to room availability. The room rate is exclusive of applicable state and local taxes. These rates will be offered three days prior and three days after the meeting dates, based on availability, or until the designated cut-off date. Included are the following amenities: Complimentary wireless internet in guest sleeping room and public spaces, Complimentary self-parking, Complimentary access to guest fitness center, Discounted overnight valet-parking at a rate of $10.00 per car per night, 10% discount on golf and spa for all attendees, Complimentary scheduled guided hikes into Tucson Mountain Park each morning, Complimentary, nightly tequila toast in Salud Lobby Lounge at 5:30pm, Complimentary flavored water at Resort’s front desk. We have arranged an overflow hotel with limited availability. Reservations for the overflow hotel must be made by Thursday, 5-April-2018 to get the discounted rate. If you choose to stay at the overflow hotel, you will be responsible for your own transportation between the AC Hotel and the ICC conference hotel. A meeting room (San Xavier Room) will be available for spouse/guest activities and group organization within the hotel each day. On Monday, May 7, 2018, a tour of Tucson, The Old Pueblo and Sabino Canyon with lunch has been scheduled as described below. The cost will be $60.00 per person and pre-registration will be required as the number of participants must be guaranteed. 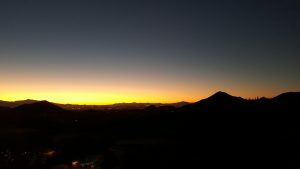 Discover the origins of Tucson as the Spanish Conquistadors established it in the middle 1500s. Tour the Barrio Historico, the finest collection of adobe homes in the Southwest! See El Tiradito Shrine, El Presidio Neighborhood and quaint La Casa Cordova, the oldest adobe home in Tucson. Swing thoroughly Snob Hollow and see the University of Arizona Campus. You will finish in Tucson’s Historical District, a block of historical buildings, extends into the Plaza of the Pioneers, a sculptured courtyard honoring the pioneer citizens of Tucson. Pathways from the courtyard lead you to five historic homes once occupied by Tucson’s founding fathers. You will also visit Old Town Artisans. Adjacent to the Tucson Museum of Art, Old Town is a restored adobe structure circa (1860), which houses unique shops where you will find beautifully hand-crafted works of art. Celebrating its 221st birthday, the beautiful “White Dove of the Desert”, San Xavier Mission has been claimed as being one of the finest examples of mission architecture in the world. Located on the Tohono O’Odham reservation this lovely church is still being used for daily mass by Native Americans. Lunch is included at El Charro Café-the oldest family owned Mexican restaurant in the United States. Treat yourself to a breathtaking outdoor tram ride through Sabino Canyon. Nestled in the foothills of the Santa Catalina Mountains, this canyon offers views of sparkling mountain streams (seasonal) and majestic mountains. This is a sight not to be missed by nature lovers, or anyone who enjoys the great outdoors. Tucson International Airport (TUS), 7250 South Tucson Blvd., Tucson, AZ 85756-6949, phone: (520) 573-8100, is about 10 miles south from downtown Tucson and the University of Arizona main campus. The airport is served by Alaska, American, Delta, Southwest and United Airlines. Up to date information about ground transportation including Rental Cars, Shuttles, and Taxis are available at the airport website. Note that the JW Marriott Starr Pass does NOT offer a complimentary airport shuttle. For those willing to make the drive, you may also fly into Phoenix, AZ Sky Harbor International Airport (PHX) and drive south on Interstate 10 for 115 miles. This is approximately a drive of 1 hour and 50 minutes. Phoenix offers more flights and better connections than the Tucson airport. Located in the Catalina Mountains and part of the Coronado National Forest, this beautiful canyon offers outdoor recreation including hiking, swimming, biking and picnicking. Experience the beauty of one of the most unique Southwestern desert canyons on a Sabino Canyon tram ride. Sabino Canyon is a natural desert oasis located in Tucson’s Coronado National Forest and is home to spectacular desert landscapes and abundant wildlife. During the winter and summer rainy seasons, pools of water form in rocky outcroppings that wind up among hillsides resplendent with palo verde trees, cholla and prickly pear cactus and graceful groves of ocotillo. Be amazed at one of the world’s largest aircraft collections: including 2+ hangers of World War II planes, supersonic spy planes, the world’s smallest bi-plane, plus many other unique private, military and commercial air and spacecraft, each documenting the evolution of flight. 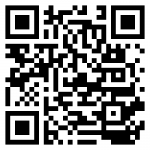 Guides augment your visit. Pima Air & Space offers a bus tour of the “Boneyard”/AMARG (M-F only, no holidays) plus offers its own tram tour of the museum’s 80 acres of one-of-a kind planes daily (additional fees). You can actually touch “aviation history” including “Freedom One” (that flew the American 444-days-in-Iran hostages home), presidential aircraft, planes that launched astronauts, delivered life-saving food/fuel, etc. and others with wingspans the length of a football field. See helicopters, MIGs, an Oscar, a rare German buzz bomb, a moon rock and much more. Over 300 aircraft on 80 acres with 5 indoor air-cooled hangars. This place is plane awesome! The Houston family invites you to enjoy a few hours or a few hours more on one of their beautiful trail rides or in one of their horsemanship classes. Our ranch is located on the east side of Tucson in the serene Tanque Verde Valley surrounded by old mesquite trees. Access to miles and miles of trails into the Sonoran Desert and in Saguaro National Park are readily available. Trail rides last 2 hours (longer or shorter rides on request) and are $60/person. Built in the 1700s, this recently restored white adobe church, representing a wonderful example of Spanish colonial architecture, is beautiful inside and out, with colorful frescoes, sculptures and carvings. 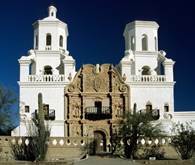 A National Historic Landmark, San Xavier Mission was founded as a Catholic mission by Father Eusebio Kino in 1692. Construction of the current church began in 1783 and was completed in 1797. The oldest intact European structure in Arizona, the church’s interior is filled with marvelous original statuary and mural paintings. It is a place where visitors can truly step back in time and enter an authentic 18th Century space. The church retains its original purpose of ministering to the religious needs of its parishioners. 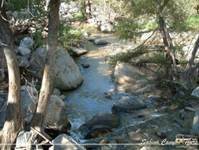 Mt Lemmon Scenic Byway is the only paved road that leads to the upper reaches of Mt. Lemmon and the Santa Catalina Range. It is one of the most scenic drives in southeast Arizona, providing access to a fascinating land of great vistas, outlandish rockscapes, cool mountain forests, and deep canyons spilling out onto broad deserts. Because the road starts in the Lower Sonoran vegetative life zone and climbs to the high forests of the Canadian zone, it offers the biological equivalent of driving from the deserts of Mexico to the forests of Canada in a short stretch of 27 miles. You’ll find plants and animals and geology that exhibit some of the most wide-ranging natural diversity to be found in any area of comparable size in the continental United States. There are turnouts at scenic overlooks and several campgrounds and picnic areas. Dozens of hiking trails offer access to the mountain’s backcountry canyons and ridges. Though virtually everyone calls this road the Catalina Highway or the Mount Lemmon Highway, it is officially designated the General Hitchcock Highway in honor of Postmaster General Frank Harris Hitchcock. The highway, which is traveled by over 1 million visitors each year, was designated a Scenic Byway on April 28, 1995. The road is paved and suitable for most vehicles. Places to turn around are few. Saguaro National Park is named after its most visible and popular resident the giant Saguaro Cactus. These extraordinary icons of the desert have an average life span of 150 years and may grow to a height of 50 feet and weigh over 10 tons. Saguaro National Park has 2 separate districts. The Rincon Mountain District is on the eastside of Tucson; the Tucson Mountain District is on the westside. Both are most often enjoyed by traveling one of the scenic loops, and stopping to hike easy trails along the way. More rigorous backcountry hiking and camping is available with permit and, is only available in the Rincon Mountain District. The Tucson Mountain District is 15 miles west of Tuscon off I-10. The Rincon Mountain District is about 12 east of Tucson. Hours: Park open to vehicles from sunrise to sunset daily. Visitor’s Center is open 9:00 AM to 5:00 PM daily. The Tucson Botanical Gardens, a tranquil oasis in the heart of Tucson, strives to be recognized and respected as the best small public garden in America, promoting responsible and appropriate use of plants and water in a desert environment through education and demonstration and provides a place of beauty and tranquility for Tucson residents and visitors. Old Tucson is Where the Spirit of the Old West Comes Alive! In addition to the old movie sets and memorabilia of its rich Western film history, Old Tucson is now the premier attraction in the Southwest to experience what life in the Old West was really like. Just strolling down the street is an adventure as you learn about the perils of cross-country travel via stagecoach, schools on the frontier, the demands of life as a sheriff in a Wild West town, and other topics discussed throughout the town. Old Tucson Living History programs are designed to be entertaining yet educational, with the goal of creating the atmosphere of a western town circa 1865-1900 that lets guests step back in time. Old Tucson focuses on Old West history, heritage, and culture in addition to its storied film history and world-famous entertainment. Hours: Operating hours will be Fridays, Saturdays, and Sundays from 10:00 AM to 4:00 PM beginning Saturday, October 4, 2014. Address: 527 National Championship Drive. Mirror lab is located on the east side of the UA Football stadium. The UA Mirror Lab provides tours of their facility, with advance ticket purchase (see website.) This 90 minute tour provides a unique opportunity to learn how innovative engineering and optical technology melds with manufacturing techniques to produce the largest and most advanced giant (8.4 meters / 27 ft) telescope mirrors in the world on the University of Arizona campus. Visitors will see the unparalleled technology and revolutionary processes involved in making the next generation of telescopes that will explore deep into outer space and produce cutting-edge scientific research. The University of Arizona, College of Science is ranked #1 among observational, theoretical and space astronomy programs in the U.S. Come see why! Hours: See website for tour schedule and reservations.